If your entryway is so messy you can't find your keys or your living room is covered top to bottom in Legos, clutter is probably stressing you out more than you think it is. A recent article in the New York Times examined various studies related to home clutter and mental well-being, with the major theme that more disorganized homes correlated with higher levels of stress. And again, no surprise here, this effect was more prevalent in woman than in men. Looking at cortisol (aka the body's main stress hormone), a 2010 study focusing on dual-income married couples in the L.A. area with at least one school-aged child found that women who thought their homes were cluttered had increased levels of cortisol throughout the day. In comparison, most of the men in the study both did not perceive their homes as cluttered in the first place, and their cortisol levels tended to drop over the course of the day. While women who were responsible for more of the housework continued to feel stressed even once they got home, men were able to relax at home and their stress levels dipped accordingly. Although these couples shared the same homes, they had very different perceptions of when their homes were "cluttered." Predictably, women who took on more of the burden of decluttering were also more critical of the state of their homes. Another interesting finding that could explain the seemingly insurmountable challenge of clutter? A separate study found a link between procrastination and clutter. Those who put off doing unpleasant tasks, like paying bills, also put off the difficult work of decluttering their homes. Taking into account the results of both studies, it begs the question: Are we stressed because we have clutter, or do we have clutter because we're too stressed to deal with it? Or, do the two create a feedback loop that allows our stash of mail and clothes and books and unpaid bills (and stress!) to continual build? 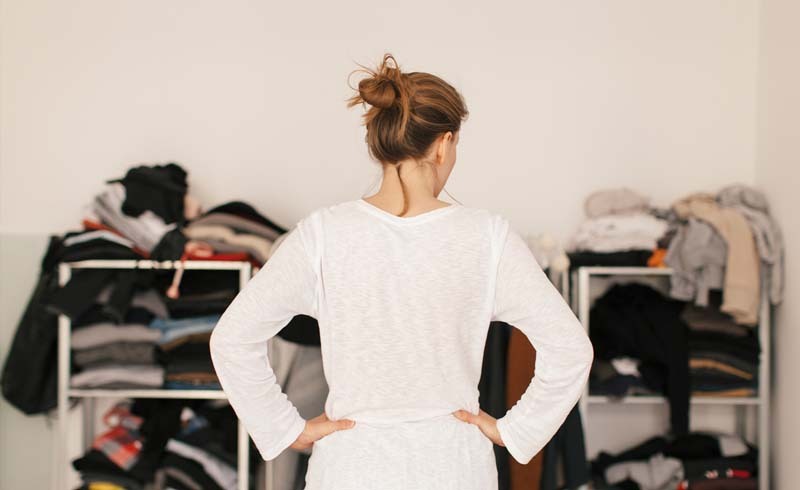 In response to the results of the first study, the lead author Darby Saxbe, an assistant psychology professor at the University of Southern California, recommends some decluttering advice that would make Marie Kondo shudder. She argues that when we touch an object, we feel attached to it, making it hard to let go. So instead of picking up an item to see if it "sparks joy," we should have a friend or partner hold it up before deciding whether to keep or toss it. She adds that becoming a more conscious shopper can help. Once items are in your home, it's more difficult to part with them, so be careful about what you acquire. 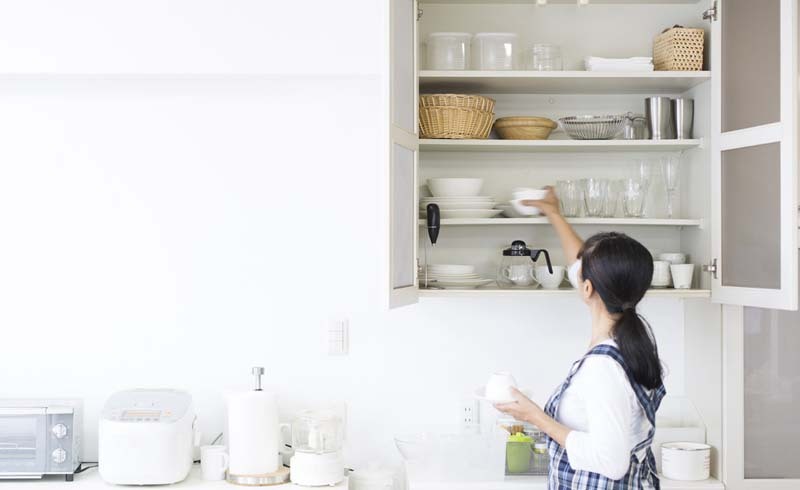 Besides learning tricks for letting go of sentimental clutter and following Marie Kondo's world-famous method, figuring out a way to better share the burden of clutter could be a game-changer. One of the biggest takeaways of these studies is that for heterosexual couples in general, men are simply not feeling the stress of clutter. One potential solution: splitting household chores (including decluttering) in a way that feels fair. That doesn't necessarily mean that a 50/50 split is what works best, but getting your partner and children to shoulder some of the responsibility for (and yes, stress of) decluttering could help. In recent years, there has been a lot of talk about the concept of "emotional labor," a term coined by sociologist Arlie Hochschild, which translates to, "the unpaid, invisible work we do to keep those around us comfortable and happy." On the surface, the act of decluttering is physical labor, but as these studies suggest, it may also constitute emotional labor. Considering the stress-clutter connection, discussing a fairer division of decluterring responsibilities feels doubly important.